This year’s annual ARDA World convention was held at Hilton Orlando, bringing our largest developer clients right to us! ARDA World brings leaders and professionals in the timeshare industry together to share ideas, network and get the latest updates on the industry. “50 Forward” was the event’s theme, celebrating 50 years of advocacy, inspiration and success. 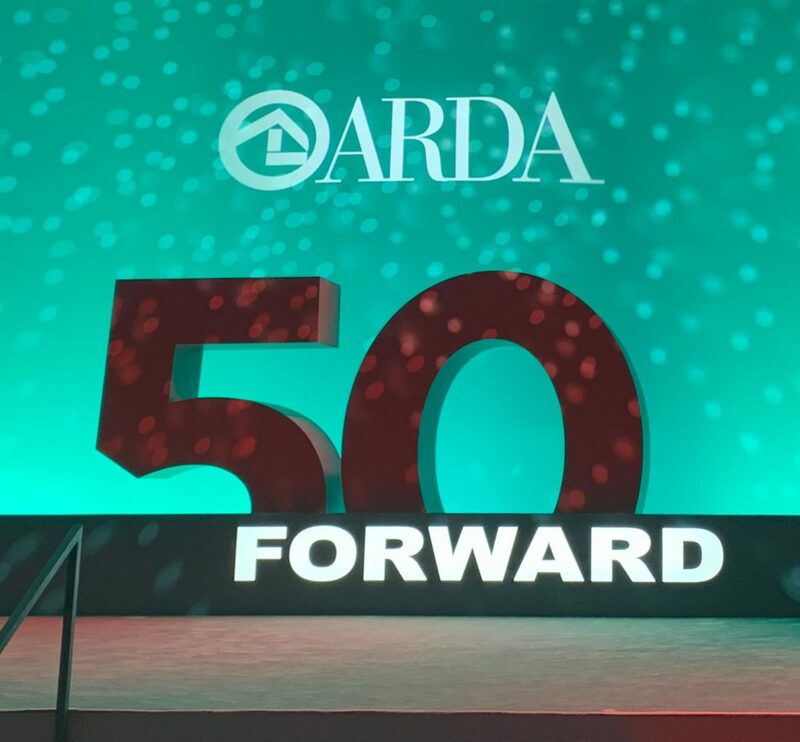 This year’s ARDA World conference was a huge success for our organization as we witnessed a new wave of leadership assume key roles within ARDA, driving the changes our industry will see for the next generation. There has never been a stronger awareness of the importance for developers to put resale programs in place for their owners. We continue to see these “exit” and “cancellation” companies hit the industry hard and the message was clear: we must all work together to control the conversation, offer solutions and protect owners. The Timeshares Only and Fidelity Real Estate developer programs have already proved that it is possible to bridge the gap between the primary and secondary markets. While we have been tirelessly working hand-in-hand with developers to create liquidity in a safe and secure resale environment for owners, ARDA has simultaneously been collaborating with developers and demanding action from its members. The Coalition for Responsible Exit is just one example of their efforts, enlisting the top developers in our industry to set the example for their peers. Now more than ever I feel we are on the right track to be part of a much larger shift, leaders in the resale industry impacting lasting change. Our mission, to legitimize the secondary market, is directly aligned with the future of the timeshare industry and I am excited for us to be part of this great movement. 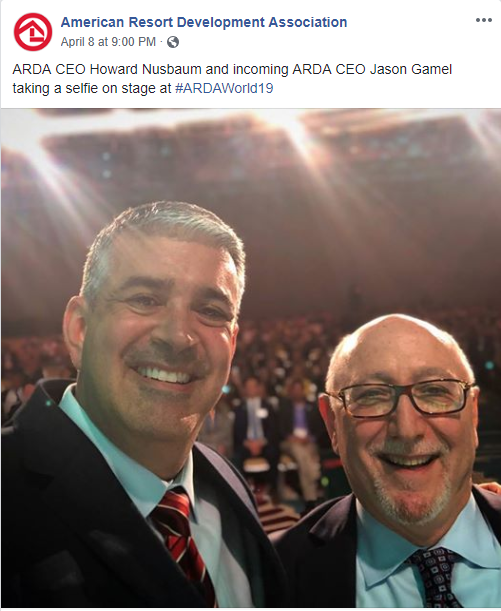 ARDA recently announced that the current President & CEO, Howard Nusbaum is retiring after 20 years of dedication to the reputation and protection of our beloved timeshare lifestyle products. Day One of ARDA World included a celebration of Nusbaum’s success and farewell. 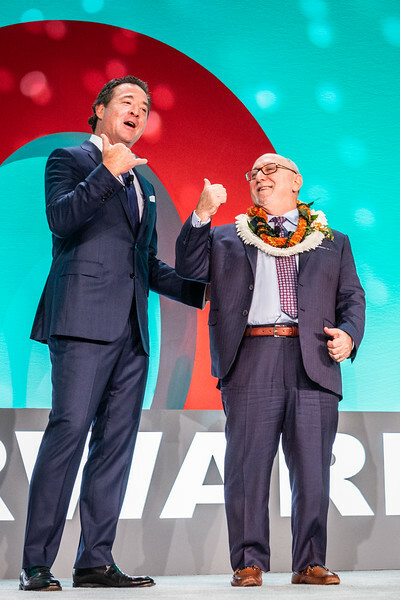 On stage, Mark Wang, President and CEO of Hilton Grand Vacations as well as Chairman of ARDA honored Nusbaum’s leaving with a grandeur custom lei flown in from Hawaii, Nusbaum’s favorite place to vacation. 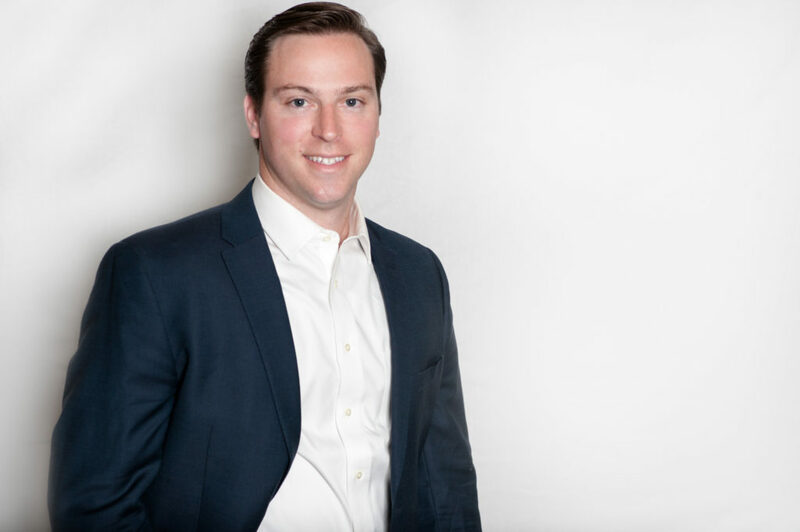 After an extensive nationwide search, we are welcoming ARDA’s new CEO Jason Gamel, Senior Vice President of Legal at Wyndham Destinations with over 20 years of experience in the hospitality and timeshare industries. “I could not be more excited. He is someone I truly love, someone I’ve had the honor and privilege to work with, and someone that I am confident is going to take this platform to new and exciting levels” says Nusbaum before introducing Gamel to the stage. The overarching setback in our industry for the last several years has been widespread misinformation about timeshare, how owners feel about timeshare and the issue surrounding timeshare exit. Not only are ARDA and its members working on giving owners positive, reliable resources when they need to make a lifestyle change, but the CEO of Wyndham Destinations Michael Brown shared the role Wyndham is taking in identifying the frauds. So far, Brown has taken down seven well-known exit or cancellation companies. As a result, two major lawyers have been disbarred. Without reservation, an interesting point-of-view that Wang shared on this subject matter was this: “If the industry started today, we’d call it innovative.” Services that bring cost efficiency to other markets have the same model as timeshare, but our voice has been covered by negative messaging. The short answer to whether or not we need to be preparing for the millennial generation is simply, YES. Are they here? Have we reached the cliff? Without a doubt, millennials travel more, spend more and are the future. Bill Caswell answered these pressing questions to emphasize the need for change. Caswell is presently the Principal and Hospitality Practice Leader of North Highland, a global consulting firm that works with the top timeshare brands. He says that the new consumer market is opting out of our traditional engagement model, meaning change must come to the way we interact with our consumers. This was a particularly hot topic during day two of ARDA World’s Chief Marketing and Branding Officer Panel. Noah Brodsky, the Chief Brand Officer of Wyndham brought some especially interesting numbers to the panel. Millennials are “adulting” as Famous Rhodes would say. Millennials are reaching the age of 38 this year. They have income, families and more responsibility than before. Staying up-to-date in tech is going to play a vital role in the growth of timeshare as we know it. Tom Nelson, President and CEO of Holiday Inn Club Vacations mentions that 55% of all timeshare bookings are done on a mobile device. Millennials are coming, and they want convenience, transparency and relationships with their favorite brands. Is Timeshare a Dirty Word? You may have noticed that many brands and resorts have strayed away from “timeshare” in their advertisements, websites or sales pitches. With the popularity of exit and cancellation companies influencing a mob mentality that timeshare is bad, “vacation ownership” has been adopted as a new tactic. Vacation ownership, timeshare–it’s all the same thing. Howard Nusbaum asked the Chief Marketing and Branding Officers Panel at ARDA World what their stance was on timeshare vs. vacation ownership. Noah Brodsky was first to say that Wyndham is “timeshare positive.” In fact, a vast majority of potential customers either are neutral or positive about the word timeshare, so it makes no difference to them whether they are “timeshare” owners, or part of a “vacation ownership” club. Sherri Silver, the Chief Marketing Officer of Hilton Grand Vacations isn’t for or against either, as long as it is consistent through every messaging avenue. To bring this messaging back to regaining the narrative, Famous Rhodes wants other leaders to own the phrase timeshare and put a positive message behind it. Every industry is changing constantly. New competitors enter the field, old ones are absorbed or re-branded. New consumer targets also force change upon business. “What got you here, won’t get you there” David Nour opened his presentation at ARDA World saying. When we apply this to timeshare, it rings true. From the market crash and combustion in 2008, timeshare had to completely re-focus and change to stay relevant in the world. Every professional at ARDA World agrees that timeshare must be customer-focused and transparent to continue. People don’t want to know how… they want to know why. Why matters more than ever before. 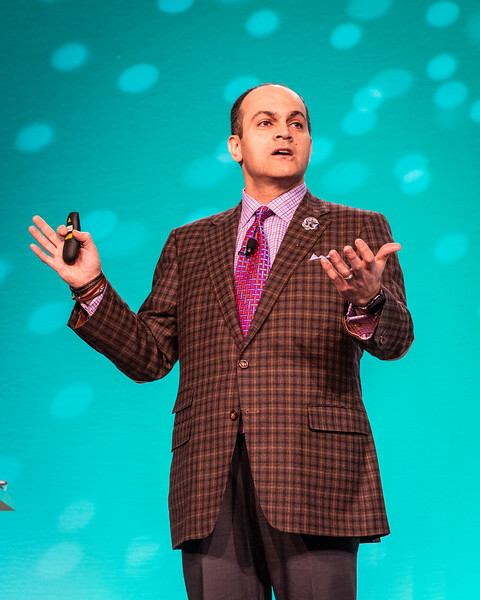 Throughout Nour’s presentation, he reiterates that “to remain relevant, you must think differently.” Storytelling, meaningful relationships and building a brand culture are all part of the changes that have to come with the timeshare industry. Nour is the author of several books on growth strategy and thoughtful leadership. He has also been featured in The Wall Street Journal, The New York Times and regularly writes columns for The Huffington Post. Check out his full bio here. Our go-to when it comes to all statistics and information we use for marketing materials and the vital information about our industry is the annual AIF State of the Industry Report. Here are some unreleased updates that we were able to have access to at ARDA World.